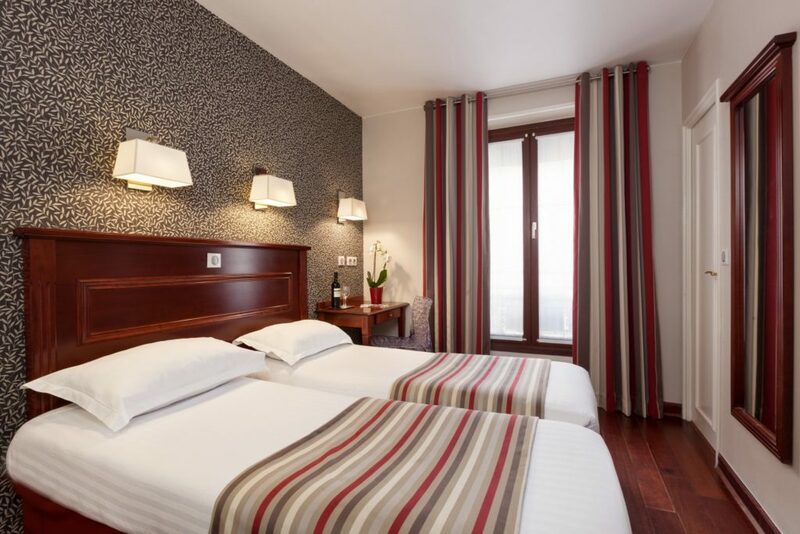 The hotel Eiffel Rive Gauche with a cozy and elegant decor welcomes you in one of the most prestigious neighborhoods of Paris in a serene and friendly atmosphere. 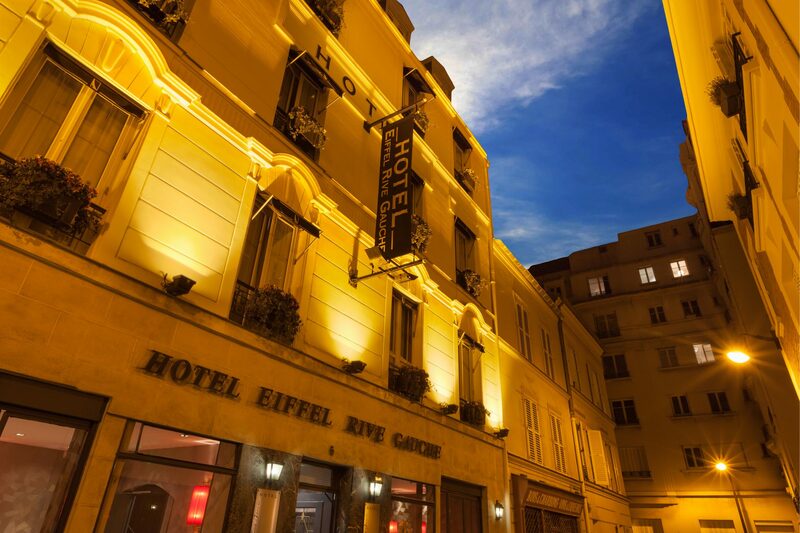 The hotel Eiffel Rive Gauche welcomes you in one of the most beautiful and prestigious districts of the capital. 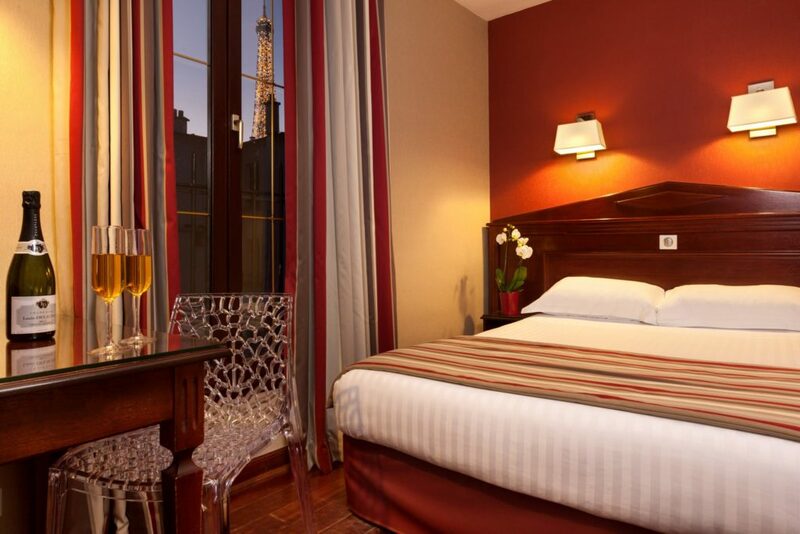 You will find right there outside your door: the Eiffel Tower and its Champ de Mars, the Invalides, the Trocadéro, the Seine, its boats and other Parisian and historical wonders such as the Champs-Élysées, the Place de la Concorde, the Quai Branly museum or Unesco. 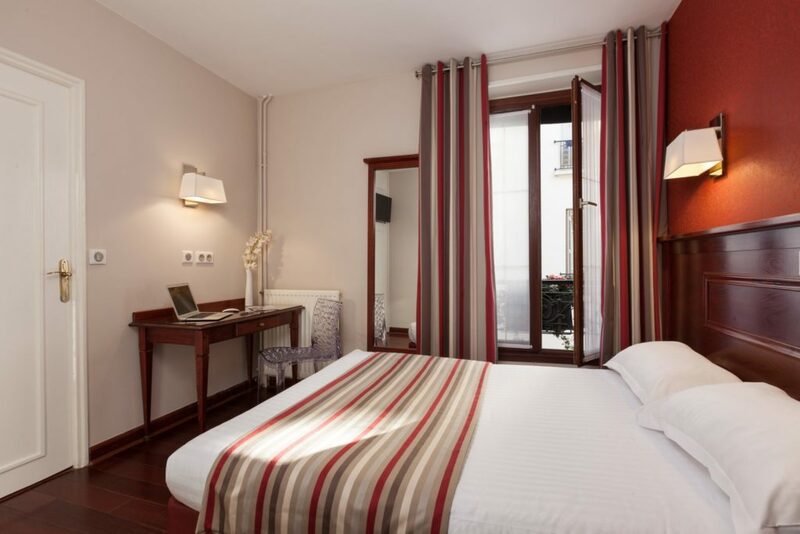 Although in the heart of Paris and bathing in a lively neighborhood where small shops, typical bistros and pretty terraces delight the visitors who venture there; a peaceful and calm atmosphere emerges from the pretty little Parisian street where the hotel is located. 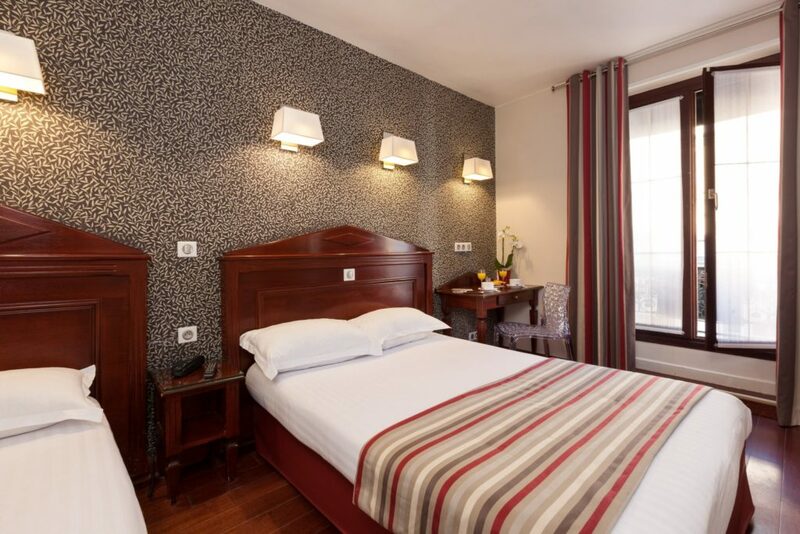 Let yourself be seduced by the charm of our establishment, a former convent with a cozy and elegant decor and its serene and friendly atmosphere.